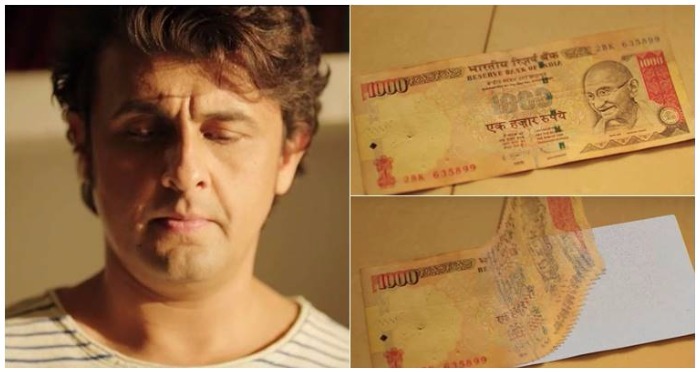 Video: Sonu Nigam Beautifully Makes Us Realize The Value Of ‘Kaagaz’ After The Note Ban! PM Narendra Modi’s massive step to ban Rs 500 and Rs 1000 currency notes resulted in very high impact on people’s lives. Many appreciated Modi’s move while many criticized him for creating chaos in the country. Every person of this country has their own opinion but singer Sonu Nigam has come up with a different point of view that will leave a lasting impact on you. The singer has come up with an amazing and sensible video that will make you salute him and he totally deserves. The video titled “Kaagaz” uploaded on Zhoossh, shows that demonetization might not be an easy step, but the first step towards a better tomorrow. Narrated by Sonu Nigam, it will make all of us realize the value of paper and money. The video is presented beautifully with a great thought to spread the message on black money. The voice of Sonu Nigam is quite impressive while narrating how ‘Kagaaz’ plays an important role in transforming lives. Conceptualized by Sonu Nigam, the amazing and sensible for words video has been written and directed by Milap Milan Zaveri. Previous : Review: Is It Worth Spending Money On Sonakshi-John Abraham Starrer Force 2 After Demonetization?